Mad Men’s Don and Megan Draper may have been nonplussed about the marriage of Jackie Kennedy to Aristotle Onassis that fall of 1968, but they were clearly in the minority. In a year filled with unprecedented turbulence,violence and upheaval, Jacqueline Kennedy’s bombshell wedding announcement one Oct weekend seemed to rock an already shook up world to the core. For many the marriage meant the myth of Camelot was now not only shaken, it was shattered. Anti war protests were nearly dimmed by the roar of outrage expressed worldwide by the this unlikely match between Americas favorite First Lady and the Greek Shipping tycoon. For one weekend presidential campaign hi-jinx were forgotten Vietnam put on the back shelf and all eyes were on Jackie. 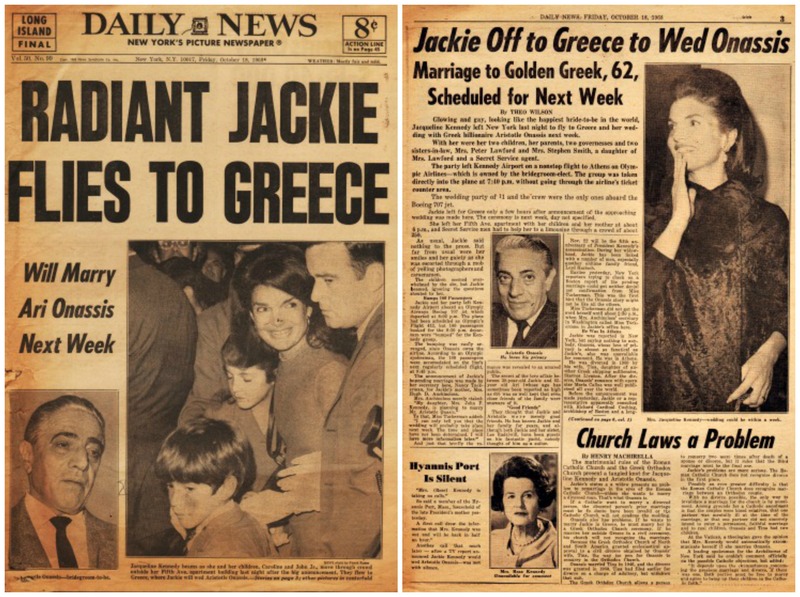 Vintage NY Daily News Newspaper 10/18/68 The shocked world learns for the first time that Jackie Kennedy will marry Ari Onassis. The date of the wedding is unknown, but could be as soon as next week. Friday, October 19 started out as an ordinary fall day for 40-year-old Patty Doyle. The suburban New Hyde Park housewife had just finished stitching up the last of the Halloween costumes for her 3 children, poured the Rice Krispie treats in the pan to cool, when she heard the startling news on the radio. Stunned, she dropped the package of Brats she was defrosting for Sundays tailgate party right onto her freshly waxed linoleum floor. Mrs John F Kennedy had bade farewell to Camelot to become the 39-year-old bride of a 62-year-old Greek shipping mogul Aristotle Onassis. Of course there were always rumors of a noble new Prince Charming who would sweep their beautiful Queen off her feet, but this short, old, rudely spoken Greek billionaire was more a toad than a prince, and was now carrying her off to his island like a spoil of war. Perhaps, Patty thought, it was a practical joke , a bad one and tasteless at that. Once this well-kept secret was revealed it unleashed a wrath of anger, disbelief, and dumbfoundedness, worldwide, resulting in anything but apathy. “The Reaction Here is Anger, Shock and Dismay,” headlined The N.Y. Times. 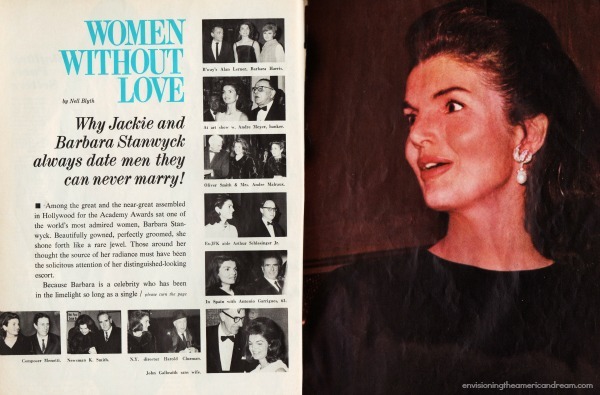 Like millions of Americans Patty worried that Jackie had permanently tarnished the image of Camelot. 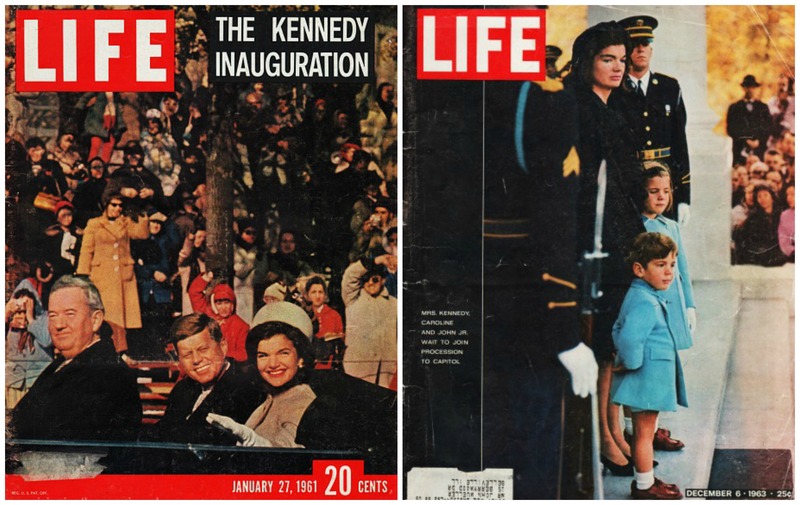 For nearly 8 years Jackie Kennedy had reigned over the American Republic as its uncrowned queen. As first lady of the land she tended the WH with a radiant beauty and cultured taste that seemed to make Americans feel just a bit more beautiful and cultivated themselves. When tragedy struck her husband down in Dallas she helped raise the nation’s spirit with her courageous dignity. In the years following the Dallas tragedy she lived high on a pedestal of her countrymen’s making. She had been elevated and made a national treasure after Dallas and never left. 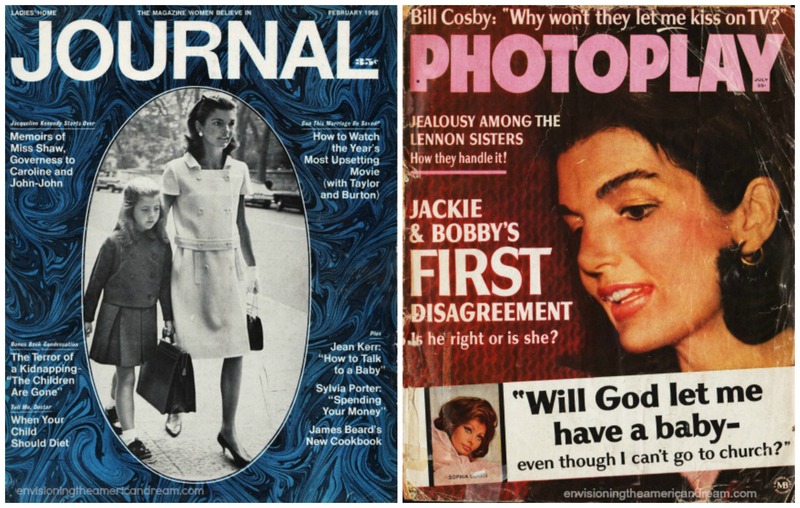 To the countless Americans who dogged her footsteps through the public prints, Jackie Kennedy was a special celebrity. 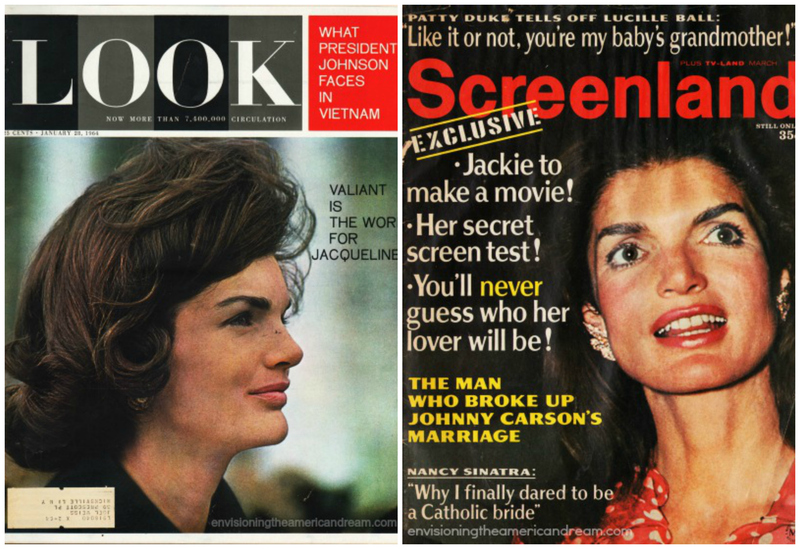 The press couldn’t get enough of Jackie. . She was as beautiful as a movie star as regal as a Queen. And now it was no longer just news magazines like Life and Time, her face was splashed across all the movie and gossip magazines too, promising shhh…never before told stories and intimate details. A Jackie hungry public gobbled them up. Her every movement was recorded her dinners at Le Pavilion, her visits to Kenneth’s Hair salon or visiting a discotheque where she spent the evening with Mike Nichols doing the watusi at Sybil Burton’s Arthur. Patty Doyle proudly counted herself one of the legions of so-called “Jackie watchers’ who charted her every move. The happy housewife knew Jackie lunched regularly at the Colony, exercised with Dina Merrill on 57th Street and was a constant smoker who took great pains to see that she never held a cigarette within range of a camera, though a long gold holder and a gold mesh cigarette case were nearly always with her in private. It was no secret she has been to the best of discotheques- Arthur, Ondine, Le Club even a neighborhood bar and Italian restaurant called Elaines where she performed a ladylike swim. 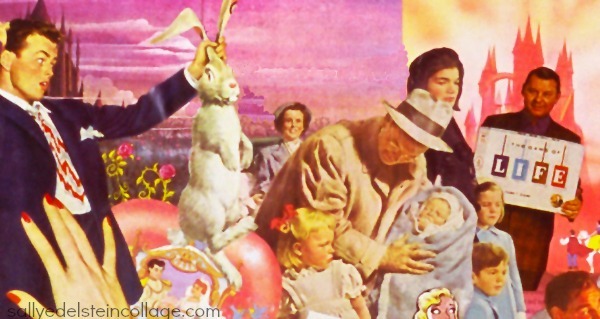 Featured articles ran the gamut from gushing admiration to slightly vulgar bad taste. (L) Vintage Ladies Home Journal Magazine 2/66 featured articles on Jackies new life in NY (R) Vintage Photoplay Magazine 7/66 one of hundreds of appearances Jackie would make on Photoplay over the years this one ran a tawdry story about an alleged fight Jackie had with Bobby Kennedy about JFK’s legacy. And of course Peggy knew that Jackie’s apartment was a spacious 15 room duplex decorated by Billy Baldwin, filled with fragile French antiques and was within walking distance of the children’s schools and Mrs Kennedy often rose early to walk with them and their secret service escorts. But of course Patty had never actually sat outside on a park bench across from Jackie’s home at 1040 Fifth Avenue hoping to catch a glimpse of her as so many other curiosity seekers had. ( though a class field trip to the nearby Metropolitan Museum Art as a class mother proved mighty tempting to Patty). No, she stuck to the articles and magazine reports, content to get her news second-hand. Besides which there was plenty to be had since the entire magazine industry seemed obsessed with Jackie, none more so than the movie and screen magazines Patty devoured under the hair dryer at her local beauty parlor. Headlines blazed speculating about new boyfriends, obsessing over her love life.. Jackie may be seen with eligible men, dining privately with a gentleman in a quiet restaurant only to read snatches of their conversation in the paper the next day. The question of Mrs. Kennedy’s remarriage came up inevitably and her dating life was well documented and scrutinized. 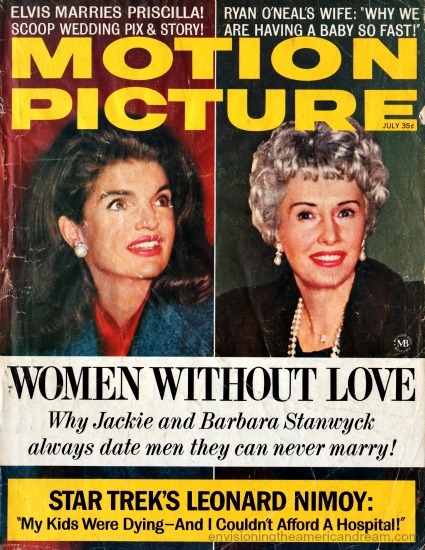 A year before her stunning marriage announcement, Motion Picture Magazine expressed deep concern about the former First Lady s love life in their July 1967 issue. Ironically only a year later she would be roundly criticized when it was assumed she married Onassis for the financial security. Before the towns gossip mill could start grinding out the latest dirt, her wedding announcement the next year kicked up a new cloud of controversy. Don’t hate me, but I have to point out that Rice Krispie treats aren’t baked. I’ve got a copy of a photo of Jackie Kennedy/Onassis outside THE BELL public house in Aston Clinton in BUCKS around 1965. It was at the time she was visiting Margot Fonteyn’s husband Tito Arias at Stoke Mandeville Hospital Spinal Injuries Unit. Tito is in the photo, as is Jackie’s sister, plus the then landlord of THE BELL, the other folk are harder to identify. Thanks for the video.. She was indeed in England in 1965. Jacqueline Kennedy and Queen Elizabeth dedicated Great Britain’s official memorial to President Kennedy at Runnymede. The memorial included several acres of meadowland given in perpetuity from Britain to the US near where the Magna Carta had been signed. I really enjoyed this post and look forward to reading more.